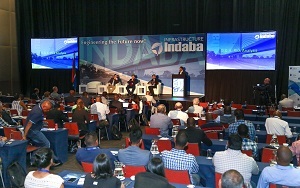 CESA Infrastructure Indaba - Day 2 - Engineering the Future Now! Durban 7th March 2019, Neresh Pather, President of Consulting Engineers South Africa (CESA) in presenting his closing remarks at the end of the 2nd day of the CESA Infrastructure Indaba, taking place at the Durban International Convention Centre stated, “Our voice in recommending and suitably driving improved planning, design and procurement practices for Consulting Engineering Services related to the development of infrastructure making sure that the citizens of South Africa get ‘Value for Money’ infrastructure that is safe and designed to stand the test of time, must be heard. Let’s hear it”. This appeal was made not only by CESA but also by many of the Government Entities that presented and engaged in debate at the Indaba. 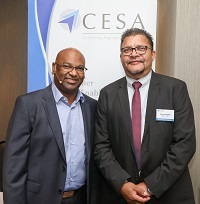 Durban 6th March 2019, Neresh Pather, President of Consulting Engineers South Africa and Keynote Speaker at the 8th Annual CESA Infrastructure Indaba, taking place at the Durban International Convention Centre, told the conference that during the course of 2019 his theme for the year is ‘Reshaping our Future Together’ that includes industry awareness supporting clients with procurement, planning, capacity and technical competence while focusing on ‘Value for Money’ Infrastructure Development. 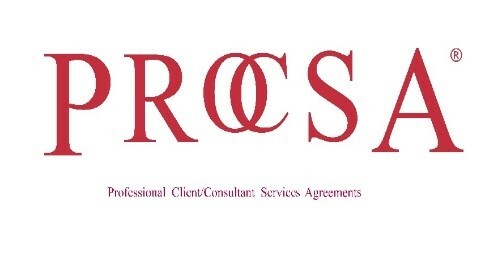 CESA responds to 2019 Budget Speech - promoting 'Value for Money' Procurement! 20 February 2019 While Consulting Engineers South Africa (CESA) supports the provisions of Minister Tito Mboweni’s 2019 Budget presented in his speech today, the organization believes that Government needs to urgently revise its Procurement Practices for Consulting Engineering Services related to the development of Infrastructure making sure that the citizens of South Africa get ‘Value for Money’ infrastructure that is safe and designed to stand the test of time. 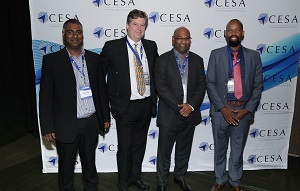 CESA Infrastructure Indaba - Fostering partnerships between Government and the Private Sector! 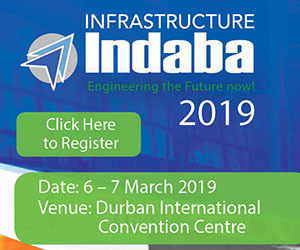 14 February 2019 Consulting Engineers South Africa (CESA) is hosting its annual Infrastructure Indaba on 6-7 March 2019 at the Durban International Convention Centre. Held in the first week of March every year, the event aims to foster partnerships between government and the private sector, particularly the engineering sector, and capacitate the channels of service delivery through cooperation and the development of common goals. The Indaba will be a platform to engage, network and share best practice required for improved service delivery within the built environment. 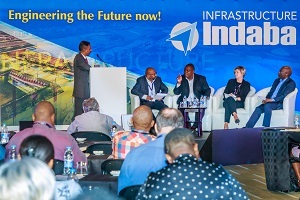 The Infrastructure Indaba will be held in Durban on 6 and 7 March 2019. Save the Date! Book now for the Early Bird Rate. Johannesburg 24 October 2018 In response to Minister Tito Mboweni’s Medium Term Budget Policy Statement (MTBPS) presented in Parliament today, Consulting Engineers South Africa (CESA) welcomes Government’s focus on infrastructure development in support of economic recovery and job creation.